The presented room availability, rates and discounts are actual and final for all our 694 hotels in Rio de Janeiro. Beach life in Rio is a true form of art, but it can be mastered without any problems. Prove yourself and don’t forget to look at others – this is the motto of world-famous beaches of Copacabana and Ipanema. Perhaps, the second is even more important. This is the reason why many cariocas come to the beach. Of course, this doesn’t prevent them from enjoying the sun, listening to music, surfing, playing football or volleyball... Copacabana is the most popular beach in the city. The largest hotels of Rio are located here. The international elite usually prefers Ipanema and Leblon, posh suburbs of Rio. However, everyone is welcome to visit these beaches! Endless boulevards, which are located along the beaches, are full of life and music. You will always find a huge number of different bars and restaurants there. The very top of Corcovado Mount has become the location of a huge statue of Jesus. The statue is known as the symbol of Rio de Janeiro. 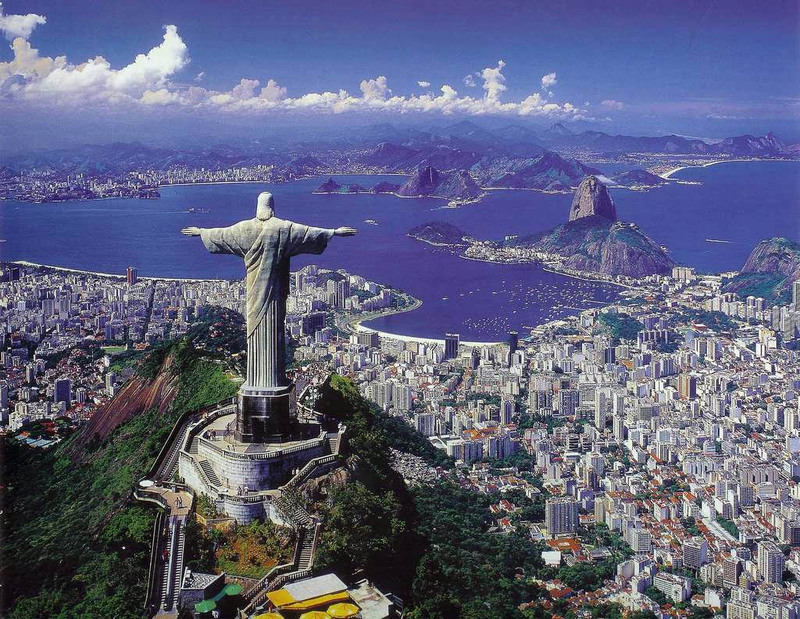 Jesus, who hovers over the city with his arms stretched, is visible from any part of Rio. It is possible to get to Corcovado Mount by train, minibus or taxi. The view, which you will see from the top, is truly unforgettable and very beautiful. There are several cafes, a small museum and even a chapel at the foot of the statue. The train goes from Rua Cosmo Velho every half an hour, from 8.30 to 18.15. If you go back on the last train, you will be able to enjoy a fantastic view of the evening Rio.